November 2018 Roseville Community Event Calendar — This time of the year can be exciting and overwhelming all at the same time. While the average person’s day-to-day life can already be busy enough, the holidays make our schedule even crazier. There are family reunions to attend, gifts to buy, holiday festivities to participate in, and more. During all of the chaos, it can be easy to forget why holidays are so special – they remind us of who we are, where we came from, and what matters the most to us. Don’t spend the holiday season in distress, instead spend it doing the things you love with the people you love. Listed below are some upcoming local community activities for your convenience. Looking for ways to spice up your annual holiday cards? Look no further – Placer SPCA is offering affordable, professional photos for anyone with a beloved furry friend. Non-furry friends are also welcome for those that would like an updated family picture to send out this year. Of course, participants can also count on a guest appearance from the one and only Santa Claus. Pictures will be sent out to participants in the form of a downloadable digital file, and print options will also be available. All event proceeds will be going towards the Placer SPCA. The enchanted Skatetown Ice Arena will be transformed into a delightful winter wonderland that is sure to please all who visit. The arena will be adorned with many forms of seasonal decorations, including twinkling lights choreographed to holiday music. 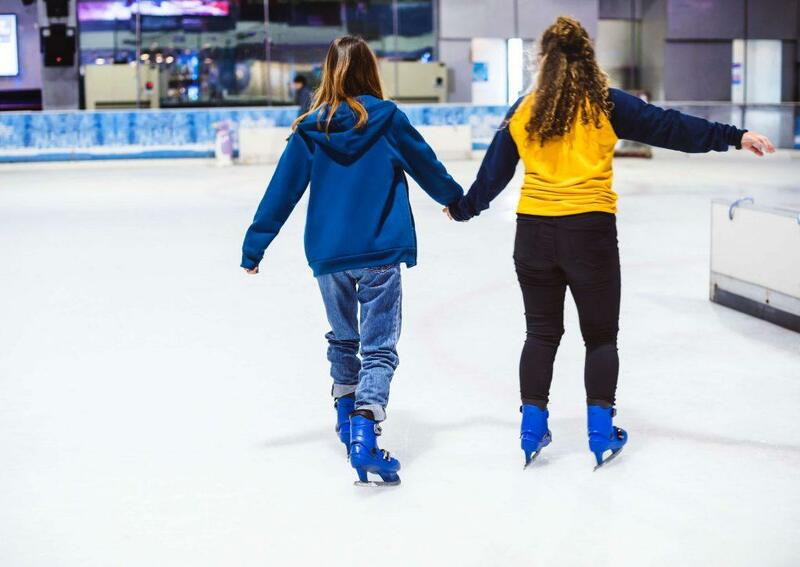 One of the things that makes Skatetown’s arena unique is that ice skaters can skate inside and outside when both rinks are open for business. Stop by and see the holiday magic for yourself. It really is the most wonderful time of the year here in Roseville, CA. On Thursday, November 29, the city will be celebrating the first night of lighting their Christmas tree at Vernon Street Town Square. Families will experience an old-fashioned Christmas celebration, complete with a cookie decorating station, visits from Santa, music, food, and holiday cheer. There will be a kids activity zone for all the little ones. Don’t miss out on this special night to kick off Christmas. I’m Ed Smith, a Roseville Personal Injury Lawyer. If you or a loved one have suffered serious injuries in a car accident caused by a negligent driver, please feel free to reach out to me anytime at (916) 921-6400 or (800) 404-5400 for free, friendly advice. You can also reach me online through my website, AutoAccident.com. I am a longstanding member of the Million Dollar Advocates Forum. Visit our Verdicts and Settlements page to browse a list of our past cases and their conclusions.